Sometimes family members make jokes without realizing that their humor is really hurting the person it is aimed at. Other times, mean-spirited humor is used intentionally. If you or another family member is being hurt by this kind of humor, let the person who is using it know that feelings are being hurt. Maybe they think they are just being funny without knowing how it affects other people. If they are being unkind intentionally, they need to know their behavior is not OK. In either case, one of the best ways to solve the problem is to talk about the problem as a family and come up with ways your family can change this behavior. One way you can help your family is if you first stop participating in this kind of humor. Don’t tease your family members and don’t react when they tease you. Show your love for them instead. The For the Strength of Youth pamphlet encourages you to “use language that uplifts, encourages, and compliments others. Do not insult or put them down, even in joking. Speak kindly and positively about others so you can fulfill the Lord’s commandment to love one another” (22). It may take time and effort, but you can learn to be kind to each other. Work to develop a closer relationship so that you are able to distinguish between hurtful and playful teasing. Learn to understand your family members better and recognize when a certain subject is sensitive. Remember that teasing is meant as fun for both people, to laugh with the person, not at the person. If you see that the other person is not laughing, talk it over and do not repeat the same mistake. My brothers and I have a weakness of teasing each other which sometimes leads to spiteful feelings. King Benjamin taught that we are supposed to love and serve one another (see Mosiah 4:14–15). We all need to strive to serve and love each other, including me and my brothers. Praying and studying the scriptures daily will help you be loving and help you want to serve. My mom taught us to question whether is it kind, necessary, or true before we say something. That has cut back on a lot of teasing that hurts. And if we still say it, our mom will make us sing the song “Kindness Begins With Me” (Children’s Songbook, 145). After singing that song about a half a dozen times, we got tired of singing and just quit saying those hurtful things. When I was growing up we had the same problem. Something that helped us was just talking about it in a family night and explaining that it hurts your feelings and you would like to change these habits. Talk to the person who is teasing and express your feelings and ask them to stop the teasing. If that doesn’t help, talk to somebody about it. First, think carefully about whether they are trying to hurt you, or if they are just playing around. If they don’t mean it, talk to them and ask them if they can be a little more considerate about the words they use. Pull them aside and talk to them about it. If all else fails, talk to a parent, youth leader, bishop, or teacher for their advice. I find that when my family and friends end up doing this, most of the time they don’t know that it hurts someone. You need to tell them that it hurts and explain that you don’t appreciate it, and to please stop. That way they know and you’re not being rude. If you don’t use hurtful humor yourself, and don’t react to this humor from others, they will notice. When you show others you don’t find hurtful things entertaining, they may follow your example. 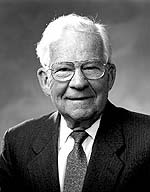 Elder Marvin J. Ashton (1915–94) of the Quorum of the Twelve Apostles, “The Tongue Can Be a Sharp Sword,” Ensign, May 1992, 18.